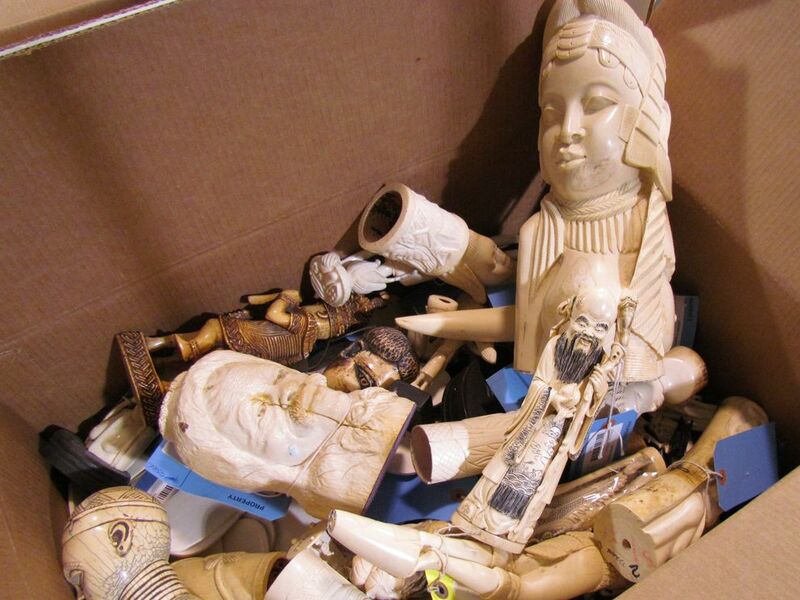 Photo of ivory trinkets in a cardboard box. On November 14, the U.S. will destroy more than six tons of ivory, a good portion of the ivory seized in the U.S. since a ban on the material went into effect in the late 1980s. The "ivory crush" includes raw elephant tusks, as well as carved trinkets such as these, part of the targeted cache. Photograph courtesy the U.S. Fish &amp; Wildlife Service. This file is licensed under the Creative Commons Attribution 3.0 Unported license. Photograph courtesy the U.S. Fish & Wildlife Service. This file is licensed under the Creative Commons Attribution 3.0 Unported license.